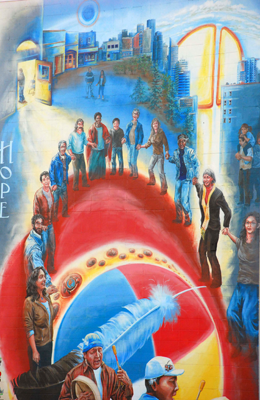 Boyle Street Community Services is an inner city agency committed to the promotion of social inclusion and equity for people marginalized by poverty and racism, many of whom are Aboriginal. Starting as a volunteer in 1979, Hope Hunter, MSW, RSW served as director from 1989-2008. Hope recognized each individual’s strengths, understood the challenges they faced and, with her colleagues used a people-first practice to help people chart a meaningful path from survival to wellness.